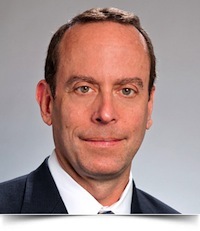 Philip W. Fisher, Partner in the Firm’s Philadelphia Office and Chair of the Firm’s Corporate & Business Services Group, has extensive experience in a wide range of matters, including structuring and negotiating mergers and acquisitions, dispositions, private securities offerings, corporate finance, secured transactions, licensing, leasing, joint ventures and real estate transactions. Mr. Fisher’s client base is as diverse as his experience, including start-up companies and smaller entities to large established organizations, such as software developers, private-equity companies, broker-dealers, investment advisors, distributors, banks and finance companies, manufacturing companies, technology companies, inventors and founders, and telecommunications corporations. Additionally, Mr. Fisher has represented both lenders and borrowers in a variety of financing and leasing transactions, including real estate, construction and revolving credit financings. He also advises clients on transactions involving technology and intellectual property. He assists clients involved in the commercialization of new technologies, intellectual property and licensing transactions, and technology research and development, including business transactions and practices over the Internet. Additionally, Mr. Fisher advises companies in various industries in privacy compliance, information governance, data security, public policy, and regulatory matters. Mr. Fisher has substantial experience in business insolvency and reorganization law. In particular, he focuses on pre-bankruptcy workouts, debt restructurings and the counseling of financially healthy businesses to implement changes to corporate and capital structures necessary to enhance value and protect them from financially troubled businesses. He has also successfully represented a variety of creditors, debtors, and purchasers in all types of bankruptcy proceedings. Prior to attending law school, Mr. Fisher was a Certified Public Accountant for a large accounting firm where he was a member of their audit and tax group. Immediately prior to joining Reger Rizzo & Darnall, Mr. Fisher was a partner in the Business Department of a large, prominent Mid-Atlantic law firm.